Eylure 3 Dimensional No. 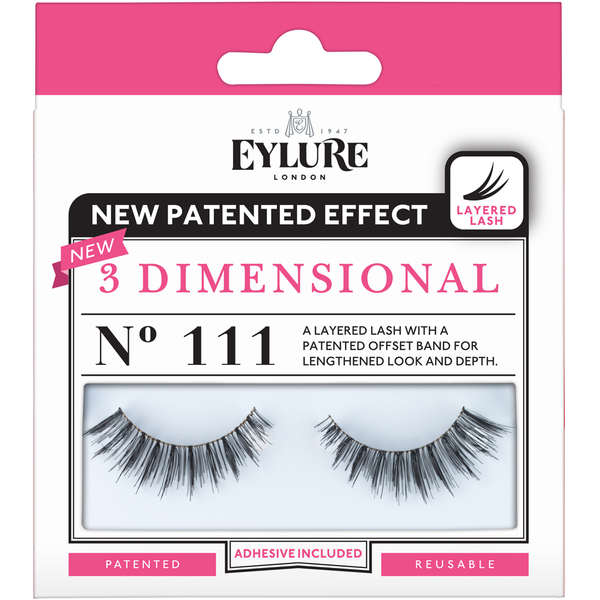 111 lash is hand woven layered false lashes with different levels of thickness combined with a patented offset band for a lengthened look and depth. There is a 3D effect to the lash which kicks up the layered lash for a gorgeous look on the eye whilst the offset band makes for a more flexible application. Thse falsies mimics the lashes you wished you were born with with touch of added glam! With a natural feel, the lashes contour the eye perfectly and are long lasting and reusable. Eylure 3 Dimensional No. 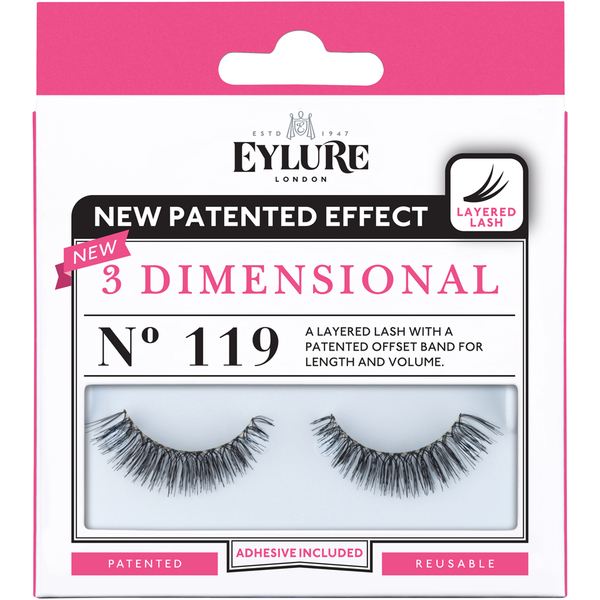 119 lash is hand woven layered false lashes with a patented offset band for a lengthened look and added volume. There is a 3D effect to the lash which kicks up the layered lash for a gorgeous look on the eye whilst the offset band makes for a more flexible application. Thse falsies makes your lashes the focal point and draws attention so much to your eyes with touch of added glam! With a natural feel, the lashes contour the eye perfectly and are long lasting and reusable.